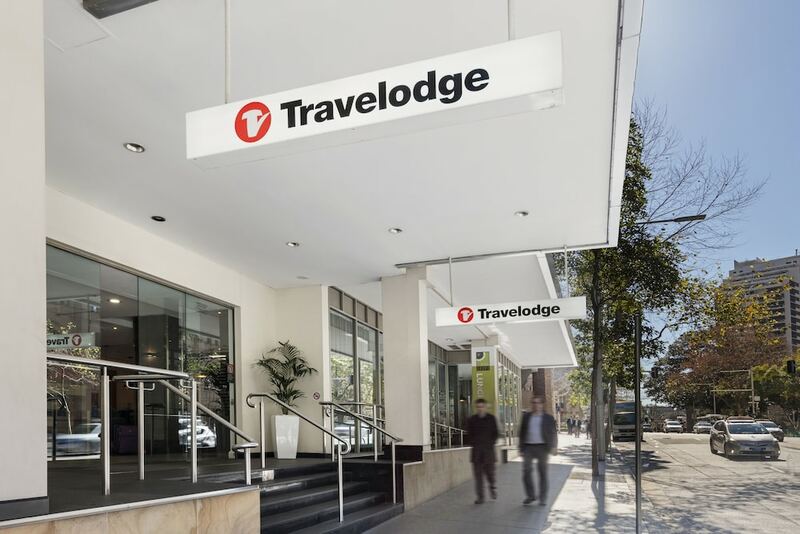 The city-center Travelodge Hotel Sydney Wynyard is within 1 kilometer (0.6 mile) of Circular Quay, the Rocks, and Museum of Contemporary Art. Royal Botanic Gardens and Sydney Opera House are 1.5 kilometers (1 mile) away. The casual Citrus Grove Restaurant serves buffet breakfast and à la carte lunch and dinner daily. A lobby bar offers evening cocktails, and room service is available 24 hours per day. Travelodge Hotel Sydney Wynyard has 283 non-smoking guestrooms, all featuring minibars (stocked with refreshments) and TVs with satellite channels. This 22-story hotel is within walking distance of Sydney's most popular attractions. The lobby includes a 24-hour front desk as well as tour assistance can be provided. The hotel also offers free WiFi. A lobby lounge serves beer, wine, and cocktails in the evening. The Citrus Grove Restaurant is a casual café offering breakfast buffets (surcharge) and an international menu for lunch and dinner. Room service is available 24 hours a day. Laundry facilities are on site and self parking is available for a surcharge. Travelodge Hotel Sydney Wynyard is a smoke-free property. Citrus Grove Restaurant - Casual café and bar serving local and international fare, including curries, burgers, and seafood. Open for buffet breakfast and à la carte lunch and dinner. Open 6:30 AM - 10 AM for breakfast, noon - 3 PM for lunch, and 5:30 PM - 9:30 PM for dinner. In-room dining - Room service available 24 hours a day. Start your morning with a buffet breakfast, available each day from 6:30 AM to 10 AM for a surcharge. You can order up room service around the clock. Rollaway/extra beds are available for AUD 50.0 per night. WiFi Policy: Up to 500 MB of data is complimentary per 24 hours, per room; up to 1 device can connect. Additional data is available for the remainder of the 24 hour period (surcharge). This hotel will place a credit/debit card pre-authorization for any bookings where payment for the stay will be made on site instead of at the time of booking. For more details, please contact the property using the information on the reservation confirmation received after booking. The property has connecting/adjoining rooms, which are subject to availability and can be requested by contacting the property using the number on the booking confirmation. Parking height restrictions apply.